Boyfriend jeans are everywhere again this season. For me, they have become wardrobe staple and I can't get enough of them since it’s comfortable and can easily look both pulled together or super casual !! Boyfriend jeans are meant to be rolled up at the bottom so that the cuff sits just above the ankle. This style is meant to sit low on the hips with dropped crotch. It's quite a task to find a perfect pair for myself, but since now I have found the best ones at SeekersOfStyle, I want to style them in different ways as possible. Do join d giveaway in my blog !! "The jewelry of Thboxes" - International Giveaway !! I really love your shoes !! I had no idea boyfriend jeans are supposed to be rolled up at the bottom - good advice. I love this look - the heels really dressed up the pants! 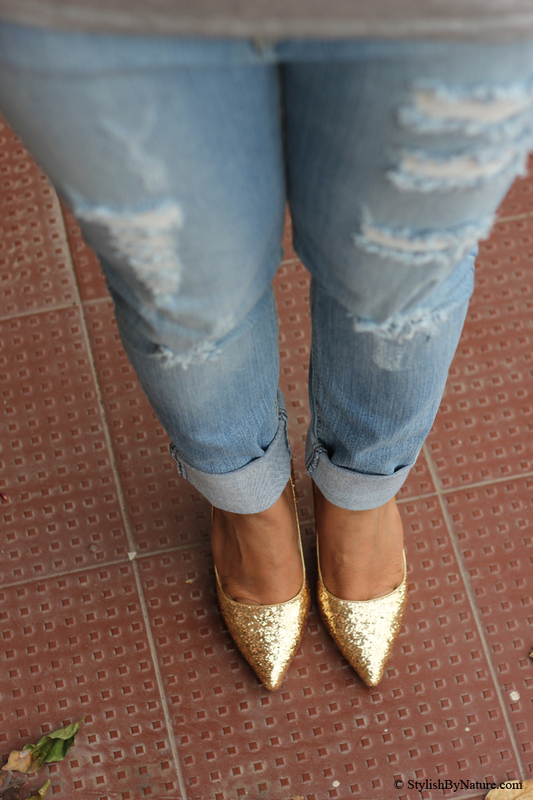 i love the ripped denim with the glittery heels! Love your shoes and bag!!! Those jeans look great on you! You look wonderful and I am so in love with those heels! Shalini, love how you paired this super casual ripped denim with the ultra glam glitter pumps! Fab! i love ripped denims! !i wore mine so often growing up..love the shoes too.. I like the name you've given. So cool! I love thsoe jeans and the sweater is so cool!! Love this look!!! You're really stylish!! A wonderful and inspiring collection of pics. I love your style!!! Such a cool look, dear! Love your style!!! Me encanta tu look y los zapatos son super chic. Wow !!! you are always Fantastic !!! Pretty and stylish, lovely outfit and amazing pics. 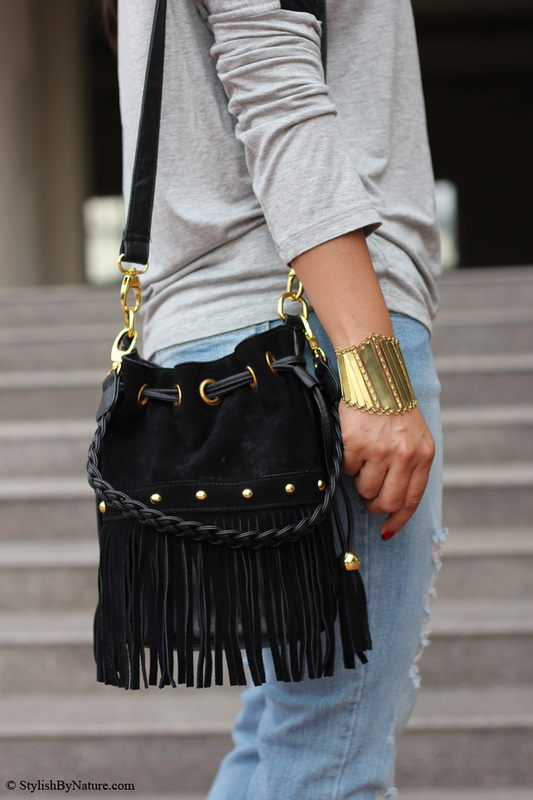 loving the arm candy. I have yet to get in to the boyfriend trend. Love the destroyed jeans and your cool top! Lovely... cool look in ripped jeans. You made this look work with little details... I love the jeans yes.. love your color block sweater too. 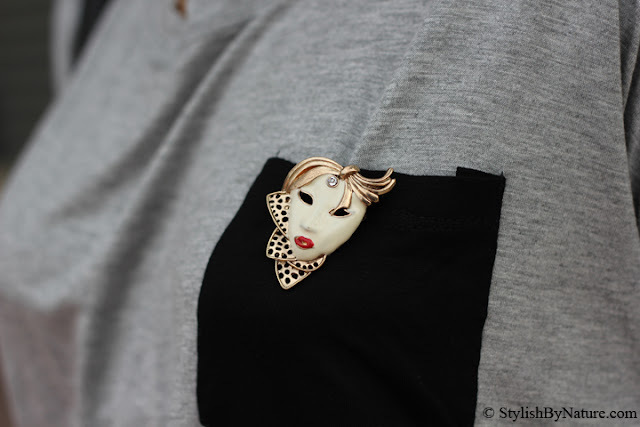 But what strikes me the most is that brooch on the pocket ! Lovely ! i am new on the blogging scene, please come visit if you can ! Love your blog and those cute shoes, would you like to follow eachother on Bloglovin and GFC?? Great look! I like this jeans! Boyfriend jeans are back in style? Great to know! Thanks for sharing! Adoring your blog, by the way! this look is just perfect! Nice look! Loved your ring and shoes! I love boyfriend jeans, the best thing ever! Nice this look! I love your sweater! I love this look!! Follow us? nice to meet u really love ur post..
You have amazing style .. I just love boyfriend jeans and those pairs are looking just fab on you.